Dr. Bailey has been a part of Northeast Georgia Medical Center since 2013. 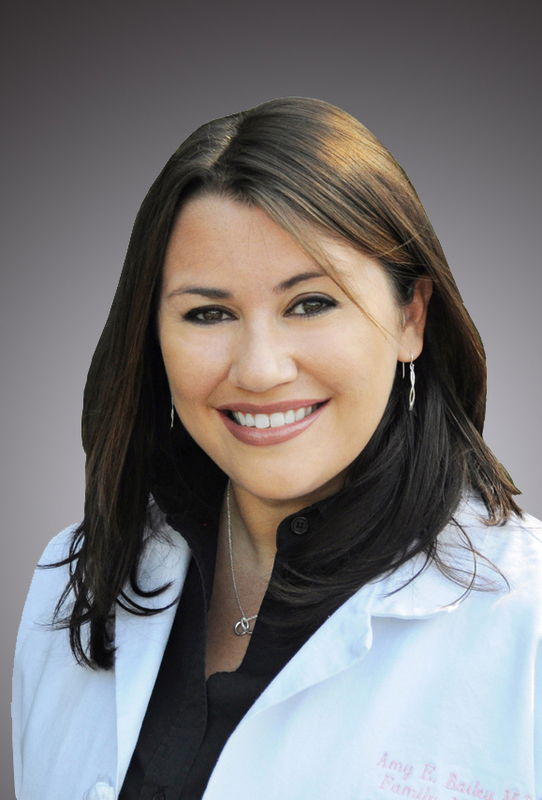 She is a board-certified family medicine physician with Northeast Georgia Physicians Group (NGPG) and is an active member of its Compensation Committee. Dr. Bailey completed her undergraduate studies at Georgia Tech, majoring in Applied Biology with an emphasis in Genetics. She knew during these years that she wanted to practice primary care in Georgia. This was further imprinted during her time at Mercer University School of Medicine. She went on to Spartanburg, South Carolina for residency in family medicine, where she was awarded Teacher of the Year in 2008 and 2009. Her research on increasing breastfeeding rates in a residency-based clinic was presented at the 2010 Society of Teachers of Family Medicine conference in Vancouver, BC. Before joining NGPG, she practiced rural primary care and urgent care. Her enthusiasm earned her a spot as a finalist for Gwinnett Physician of the Year in 2017. She has served as a delegate for her district in the Georgia Academy of Family Physicians and is an active member of her state chapter. Her passion for teaching and previous experience make her a perfect fit for teaching residents in family medicine. Her medical interests include evidence-based medicine, healthcare policy, innovations in primary care and increasing access to patients. Dr. Bailey is passionate about excellence in graduate medical education and training the next generation of family medicine physicians. Dr. Bailey enjoys spending time with her husband and their daughter. Together, they are avid art and music fans and enjoy going to museums and concerts. They also enjoy being outdoors and traveling.